16 Fun, But Different Ways To Explore Jamaica! Ever thought about how to jam in Jamaica like a local, off the beaten track or to do something completely mindblowing. Break out of your shell, do something different and daring for your next holiday and experience Jamaican life in ways you never expected! 1. 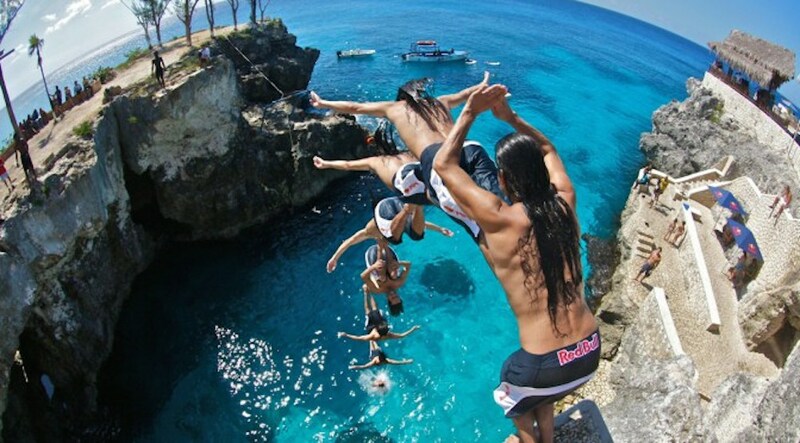 Be daring and dive off the cliff at Rick’s Café in Negril Beach. One of Jamaica’s national dishes, while you are in Jamaica you will be offered a goat curry with rice and peas. The goat is often seen as a deterrent with fewer than most wanting to try this flavoursome cuisine. Finding the meat through the serving of bones may be a bit tricky, but the flavour will leave your lips smacking for more! Learn about the true history in Jamaica with the plight of the maroons, the slaves who escaped and setup their own villages and townships in Jamaica. The film that skyrocketed Brooke Shields film career, the Blue Lagoon offers tourists the experience into film fantasy with a touch of Jamaican reality. Swim with your loved ones or take a trip with a local to explore the surroundings. Find a local, get some drinks, get ready for banter and be a part of the Jamaican dominoes experience. Experience the tension and hysterics from the passion and tactics that the locals will engage in while the game is in play. Make sure the music plays in the background and enjoy the game play. Don’t be shy to ask a stranger. They are up for the challenge! 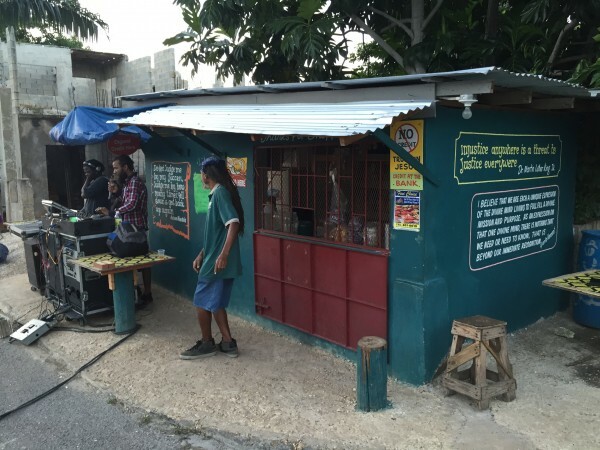 You will find patty shops all around Jamaica. Duck into a Juici Patties branch and try a patty and cocoa bread. Soft bread, nicely cooked pastry and a little spice to give it that Jamaican kick will be just what the doctor ordered to get your day going. Jamaicans are known for enjoying their music. No matter where you go, you will be exposed to the upbeat vibrations of reggae music. As the Romans said “When in Rome, do as the Romans do”. Jamaicans will be no different. Scale the heights of the blue mountain. Famous for its iconic coffee bean and lush greenery, the Blue Mountains are a place that you must visit while you are in Jamaica. Even if you aren’t a coffee enthusiast, the Blue Mountains offer tourists a chance to escape into a part of Jamaican that is relatively untouched when you venture off the beaten path. 9. Herb is the word! Remember guys, this herb isn’t legal in Jamaica. But should you decide to practice enlightenment practices of Rastafarianism, Peace be the journey! This photogenic place in Jamaica is on a stretch of road in Jamaica. Take the drive and try to get photos in the early morning or towards the afternoon as the sun sets. Go up into the mountains and follow the road that goes through one of Jamaica’s army bases. If you are lucky, you may see them performing drills. Be on your best behaviour though. During the week, there will usually be some sort of musical event going on. But come Friday and Saturday, the sound systems will be out and the musical vibrations will be playing until the early morning. Sleep is for the weak. Get out and get lively! The local English language in Jamaica. Learn to speak a few phrases and banter with the locals with some Jamaican words. Like we said earlier, when you are in Jamaica, you just have the feeling that you need to dance. So get lively, start flexing and move to the beat baby! Jamaica has a strong line of history with people fighting for independence and civil rights. Learn more about the motives of Marcus Garvey, Nanny of the Maroons, Samuel Sharpe, Paul Bogle and Nelson Manley. Last but not least, when you visit Jamaica, you will have to visit the reggae shrines of Bob Marley. With iconic buildings and momentos of his life in Trenchtown, Uptown in Kingston and in Nine Mile, you can see more about his life and influences that made him become the reggae superstar. So what are you waiting for mon?